Messy fun for under 5’s with speech, language and communication needs. Join the friendly team from Artburst for 90 minutes of storytelling, movement, drama inspired by the Museum’s dolls houses. The workshop will include basic signing and a speech therapist will be present throughout. Sessions are FREE, but space is limited. 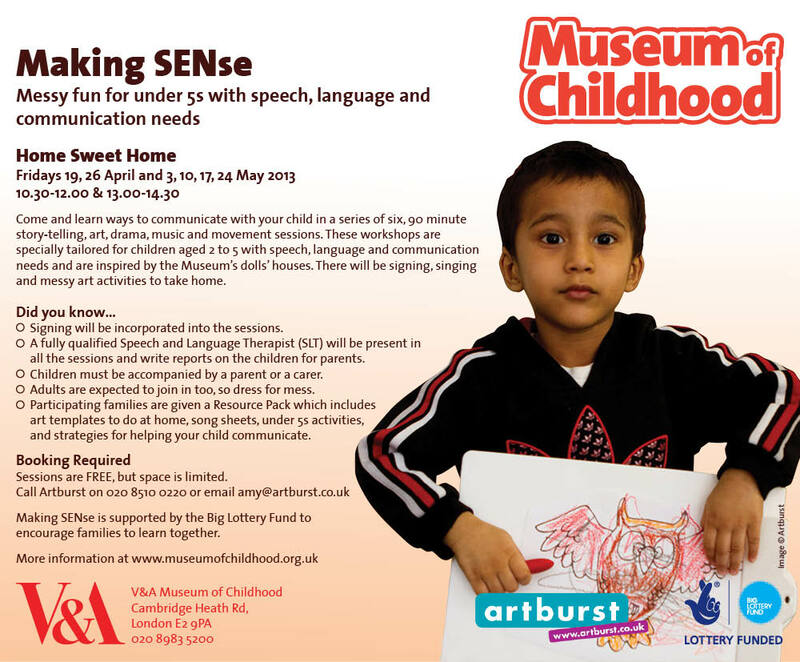 Call 020 8510 0220 or email amy@artburst.co.uk to book a place.